Its mark. 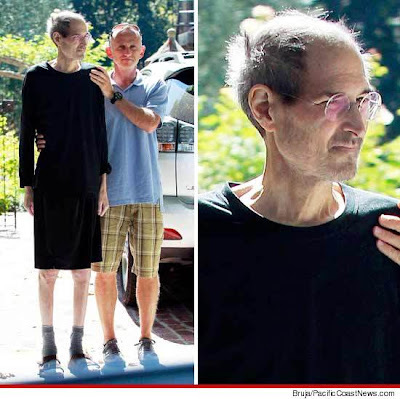 That is NOT a real picture of JOBS my friend NO WAY!!!!!!!!!!!!!!!! Are you done with this blog? Why do I continue to check this blog? buy X or BAC? or both? As I have expected, the writer blurted out! The topic is pretty complicated for a beginner… But thank you, a very interesting note! Almost forgot Societe Generale. Palomoni, give me ur blessing on this one. Great bank! Really P? A lot going on these days.. where are you? Miss the commentary/notes/funny pics etc. Really over seeing that pic of Jobs every day. Palomoni --u in BAC now or what? Look at X --remember u used to say X! Only dumb asses buy CMG today-just like they did Netfux 6 months ago.WTF. Where u be? banks long--also DOW is good here--hey if MR P ain't here then tell me others-what the ____ do u think a company like C is worth? .....I know what it's worth and it ain't $25 a share why are traders such dumb asses? because they Can't wait for nothin. they can't buy BAC de pussies and only a dumbass would have sold V yesterday, but most of the herd did-NO u buy it yesterday and sell it today. I heard it said the matrket is like a Casino and the house always wins, well i know who-what The House is. STELLLA! I mean PALOMONI! where are ya kid? palmoni, used to count on your blog for up-to-date info. I wish you well, but, you are sadly off my daily list. :( you will be missed. Hi! I simply would like to offer you a big thumbs up for your excellent info you have here on this post. I will be coming back to your blog for more soon.